Is Caste Still an Indicator of Backwardness? Ashwini Deshpande (ashwini.deshpande@ashoka.edu.in) teaches at the Ashoka University, Sonipat, Haryana. Rajesh Ramachandran (rajesh.ramachandran@awi.uni-heidelberg.de) teaches at the University of Heidelberg, Germany. 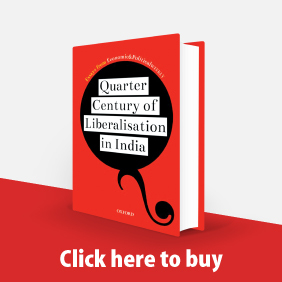 The Constitution (124th Amendment) Bill 2019, popularly known as the 10% quota for the economically weaker sections (EWS), is a landmark in the history of the reservation policy in India; not because it advances the original raison d’être underlying quotas for marginalised and stigmatised groups, but because it completely overturns the original logic of reservations on its head. Reservation for the most oppressed groups was conceptualised as a policy of compensatory discrimination, as a remedial measure for contemporary handicaps faced by individuals due to historical discrimination and deep stigmatisation on account of their untouchable caste status. As B R Ambedkar pointed out in his speeches to the Constituent Assembly, which was discussing the contours of the new constitution of independent India, the country was entering an era of contradictions: it was embracing the ideal of formal equality by enshrining it in the Constitution in a society lacking substantive equality. One element of formal equality between caste groups was the legal abolition of the deeply stigmatising practice of untouchability. Despite this important measure, or more appropriately to complement it, the reservation policy was deliberately caste-based, as Ambedkar envisaged that a legal end to untouchability would not automatically end discrimination against castes stigmatised on account of their untouchable status. While a caste-based policy might be construed as violating “formal” equality, or “equality in law,” which implies that legally all castes should be treated equally, India needed a bridge to convert formal equality to “substantive” equality, or “equality in fact.” Affirmative action, which took the form of quotas, ensured that those subject to extreme discrimination would be identified and provided with compensatory “reverse” discrimination in their favour. As Ambedkar pointed out, this was necessary to counter the contradictions that stared the country in its face: political equality, which ensured “one man, one vote,” in contradiction with the underlying social and economic inequality, manifested in the denial to those at the bottom of the caste system, a life of basic dignity, free from discrimination. Quotas on an economic basis, with a specific rider that these are meant for EWS among the non-Scheduled Castes (SCs) and non-Scheduled Tribes (STs), indicate two shifts in the policy of affirmative action: one, that caste is not necessarily an indicator of social backwardness, and two, reservations are not meant specifically to remedy caste-based discrimination. Additionally, while the new quota is ostensibly meant for the EWS, in reality, the government has set an income limit of ₹ 8,00,000 per annum, below which households are classified under EWS. How valid are these shifts in government policy? Does the income ceiling proposed by the government reflect actual economic disadvantage? These questions are addressed here using data from two waves of the India Human Development Survey (IHDS). First, the evidence on caste disparities within those officially classified as poor (below poverty line or BPL), and how these have changed between 2005 and 2012, is examined. Even though the poverty line is not the cut-off for EWS, this evidence is necessary in order to address the first question: Has caste ceased to be an indicator of backwardness? This is not the first time this question has been debated in India. 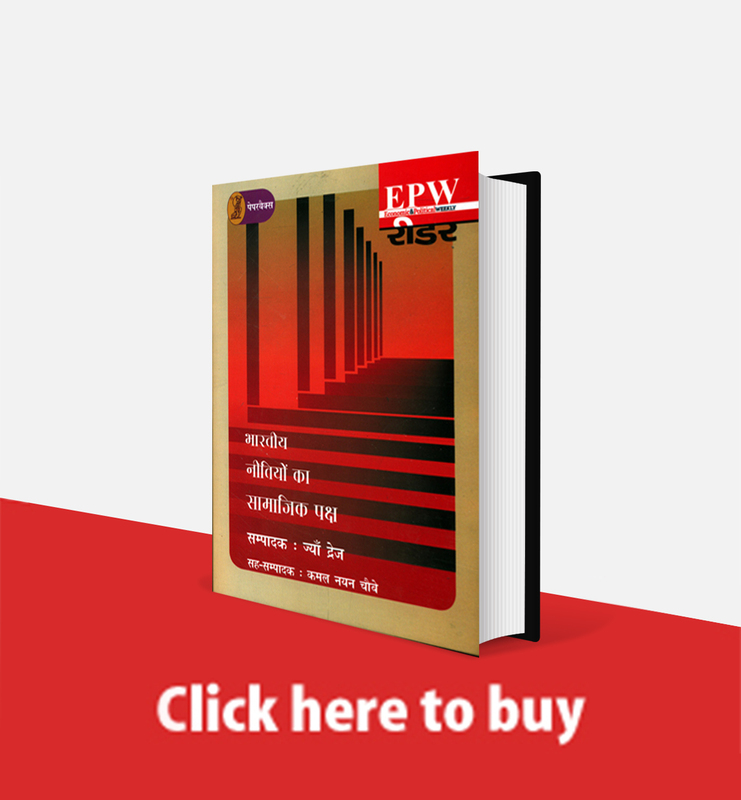 Economic & Political Weekly has seen serious and engaging debates on this issue, which include the cogent debate between Desai (1984) and Shah (1985), close to 35 years back. Srinivas (2003) wrote an obituary on caste as a system, while Béteille (2012) questioned how real the presumed salience of caste was in contemporary India. In Deshpande and Ramachandran (2019), the latest evidence on the overall salience of caste in economic indicators such as education, employment, wages, etc, is provided, and it is demonstrated that in several indicators, caste gaps are either static or widening. Given that the new quota targets the so-called EWS without reference to a specific caste group, it raises the question whether caste differences are significant among the poor. Caste differences within households below the income limit of ₹ 8,00,000 per annum, which is the income ceiling for EWS are examined next. Finally, turning to the overuse of the policy of reservations, it is argued that by repeated extensions, it ceases to be an exceptional measure, invoked towards castes that face exceptional discrimination. Also, viewing reservations as a panacea for economic disadvantage masks the real issue: if individuals, regardless of their caste, are deprived of decent livelihoods, should the state be expanding the scope of reservations, or investing in public education and health, and providing the environment for creation of jobs with basic insurance and social security? To keep the discussion sharp and pointed, the focus remains on three caste groups: poor (or BPL) Brahmins, poor non-Brahmin upper castes (UCs) and poor SCs (poor Dalits). Comparisons with “all” SCs (and not just the poor) are also included. Does Caste among the Poor Matter? Focusing on those officially classified as poor (BPL) according to the Tendulkar Committee poverty line, Table 1 presents selected indicators for poor Brahmins, poor UCs and poor SCs for 2005 and 2012. Income and wealth: In 2005, the average annual household income of poor SCs was ₹ 27,870.67 (in current prices), which was roughly 76% of the average income of poor Brahmins, and about 56% of the average income of poor UCs. In 2012, it was 73% of the income of poor Brahmins and almost 73% of the income of the poor UCs. Thus, in both years, poor Dalits earn significantly lower incomes than poor Brahmins and poor UCs. Over the seven-year period, some convergence between Dalit incomes and Brahmin and UC incomes among the poor is seen, but the convergence between Brahmin and UC incomes is much sharper. Poor Brahmins earned 73% of the average income of poor UCs in 2005, but by 2012, this gap had closed due to the fact that the incomes of poor Brahmins rose more sharply than the income of poor UCs. In 2005, the absolute gap between poor Brahmin and poor Dalit incomes was roughly 31% of poor Dalit incomes. In 2012, the same gap was roughly 36% of poor Dalit incomes. The IHDS asks about the ownership of household assets.1 In 2005, poor Brahmins owned roughly nine assets on average, and poor UCs owned 9.5, a marginal difference. However, poor Dalits owned seven, which is less than the other two groups. The average ownership of assets for the population as a whole was roughly 14 (not shown in Table 1). By 2012, average asset ownership had increased for everyone to 15, with Brahmins marginally outstripping UCs, but Dalits owning less than both the groups (approximately 9.7). 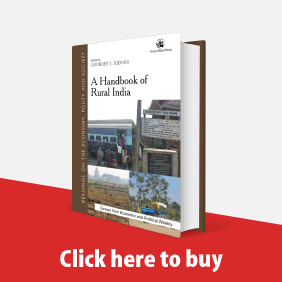 The disparities in terms of landownership or cultivation are even starker: of all those who report being involved in agriculture, 59% of poor Brahmins owned or cultivated land in 2005, and this proportion increased to 91 by 2012. For poor UCs, the increase was from 39% to 75%, which was substantial but smaller than that for Brahmins. The smallest increase was for poor Dalits (from 35% to 48%). This evidence suggests that poor Dalits are clearly worse off than poor Brahmins and poor UCs in terms of income and wealth. The IHDS in 2012 asked a question about self-perceptions of economic status. It asked, “According to you, is your household poor, middle-class or comfortable?” Analysing the caste differences in the responses to this question among the poor is revealing: only 40% of poor Brahmins view themselves as poor, compared to 77% of poor Dalits and 57% of all Dalits. This self-perception is shaped by the relative social status, which for poor Brahmins remains high, despite their objective economic disadvantage, and for non-poor Dalits, remains low, even when they are not under BPL. The same pattern is seen for the middle class and comfortable categories as well. Education: In 2005, the average number of years of education for adults in poor Brahmin families was the highest at 3.46, followed by poor UCs at 2.36, poor Dalits at 3.22 and all Dalits with 3.15 years of education. By 2012, average education increased for all groups, but whereas poor Brahmins and poor UCs added about two years to stand at 5.55, and 4.21 respectively, poor Dalits increased their average to only 3.61 over the seven-year interval. The number of years of education of the highest educated adult shows similar caste gaps, where poor Brahmins have greater years of education not only relative to poor Dalits, but to all Dalits. Since the discussion is about quotas in government jobs and institutes of higher education, it is instructive to examine the relative eligibility of these groups for these positions. Examining the proportions of poor families with at least one member with 12 years or more education2 reveals that in 2005, 22.81% of poor Brahmin households had at least one member with 12 years or more of education, and this proportion was zero for poor UCs and SCs. In 2012, the proportion of households with at least one member eligible to take advantage of quotas increased to 39.37% for poor Brahmins, 16.48% for poor UCs and 11.71% for poor SCs. Thus, based on educational attainment, poor Brahmins are the best suited to take advantage of the new quotas. Of course, a quantitative measure of education does not indicate anything about its quality, which is a separate issue altogether and an important one. As the Annual Status of Education Report (ASER) points out year after year, the overall quality of school education remains very poor. While this is true especially for all the poor, the learning deficits are the largest for poor Dalits. In 2005, 33% of poor Dalit children between 8 and 11 years could read a paragraph or a story, a proportion not different from poor Brahmins, but by 2012, while this proportion remained almost similar for poor Dalits at 34%, for poor Brahmins it had increased to 51%. In mathematical ability, measured by the ability to divide or subtract, it is seen that poor Brahmin children are ahead of the two other groups in both years. In fact, while the percentage of poor Brahmins increased from 44% to 51% over the seven years, the proportion of poor UCs did not change and that of poor Dalits increased slightly from 26% to 28%. Employment: Differences in access to jobs can be analysed in a variety of different ways; a reality check tells us that casual labour characterises the nature of employment for the overwhelming majority of the poor. The proportion of poor individuals with casual jobs (of all working individuals) declined for all caste groups between 2005 and 2012, but the decline in the proportion of Brahmins was the highest with 14 percentage points, declining from 85% to 71%, whereas the proportion of UCs and Dalits with casual jobs declined by seven (96% to 89%) and five (97% to 92%) percentage points respectively. The proportion of casual workers is higher among all Dalits compared to poor Brahmins. For the poor of all castes, a formal sector government job remains a distant dream, with 1% of poor Brahmins and Dalits in government jobs. The fact that despite significant gaps in other material indicators, the percentage of poor Brahmins and Dalits in government jobs is similar is probably due to existing reservations for SCs. Comparison with all SCs: Table 1 shows the values of all indicators for all SCs, and not only the poor, for 2005 and 2012, respectively. The relative position of caste groups becomes even clearer here, in that it is seen that all Dalits are either at par or barely above poor Brahmins. The historical legacy of excluding Dalits from all education can be seen in terms of years of education, where average years of education of all Dalits is lower than that for poor Brahmins in both 2005 and 2012. The proportion of all Dalits with casual jobs is higher than that for poor Brahmins in both years. In 2005, the average income of all Dalits was almost similar to the average income of poor Brahmins (the latter’s income was 99.6% that of all SCs). This relative position changed in 2012, but, even then, poor Brahmins earned an income that was roughly 91% that of the income earned by all Dalits. The IHDS is a panel data set, which means it contains longitudinal data for the same set of households over seven years. This is very useful to track the changes in the same set of households across time. To keep the comparison simple and sharp, the change in each indicator for poor SC households relative to the change for poor Brahmin households over the period is focused on here. This comparison confirms, more rigorously, the picture presented by Table 1. Regression results on the panel3 reveal that there has been a convergence between incomes of poor SCs and poor Brahmins, in that while incomes for both groups have increased, SC incomes have increased more relative to Brahmin incomes. However, in terms of per capita consumption expenditure, poor SC families have further fallen behind. There has been convergence in terms of years of education as well as a number of household assets owned. In terms of access to government jobs, there has been no change in the relative position of poor SCs versus poor Brahmins. The comparison so far has been based on BPL families, officially classified as “poor.” The purpose of the comparison was to demonstrate that caste remains a critical marker of disadvantage, even within the subsection of the population in the lowest economic class of the Indian population. For all those who argue that economic disadvantage is the true marker of deprivation and that caste is not relevant anymore, the comparison presented above should be a reality check. For the purpose of this quota, the EWS category consists of households with an annual income less than ₹ 8,00,000. It is worthwhile to remind ourselves that this cut-off is eight times higher than the income limit used by state governments for school admissions of poorer children under the Right of Children to Free and Compulsory Education (RTE) Act. The income cut-off for identifying children from EWS families for admission into elite private schools in Delhi is an annual parental income of less than ₹ 1,00,000. Based on average incomes in Table 1, it is observed that the EWS classification for school admission is much more accurate in identifying families that are either below or just above the poverty line. Income data at the national level are not easily available. One estimate (Statista nd) indicates that in 2015, 98% of all households earned an annual income of ₹ 6,00,000 or less. By stipulating a quota for non-SC–ST–OBC (Other Backward Class) families earning ₹ 8,00,000 or less, the government is effectively creating a quota exclusively for Hindu upper castes who are not in the top 1% of the income distribution. This means that despite being presented as a quota on economic criteria and not caste, the reality is that this is very much a caste-based quota, targeted towards castes that do not suffer any social discrimination; on the contrary, these rank the highest on the social scale of ritual purity. The high-income ceiling for defining EWS adds one more dimension to this quota. Prior to this quota, individuals from caste groups that are eligible for SC, ST, and OBC quotas, could get admitted under the “general” or the “unreserved” category on what would be popularly called “merit,” if they had a score higher than the cut-off for the general category. Thus, the quotas were seen as “over-and-above,” rather than a “guaranteed minimum,” that is, quotas were meant to admit reserved category candidates over-and-above those who made it in the general category. Now, with 10% reserved for the so-called EWS among upper castes, it is effectively a quota for (almost all) upper castes. Admittedly, subsequent announcements by the government have mandated that the 10% quota has to be accompanied by 25% increase in unreserved seats, so the over-and-above feature of the current reservation system will continue to hold. What do the IHDS data reveal about families with an annual income under ₹ 8,00,000? The first point to note is that 98.26% of Brahmin, 97.93% of UC and 99.75% of SC families report incomes less than the EWS limit. Thus, it is completely false to characterise this as a quota meant for EWS. Turning to the actual poor, it is seen that the proportion of BPL individuals with government jobs is minuscule (Table 2). However, of the poor with government jobs, in 2005, 4.29% were Brahmins, 10.98% were UCs, 46.35% were SCs and 26.67% were OBCs. In 2012, proportions of the poor who were Brahmins and OBCs increased (5.6% and 36.72%, respectively), and for SCs declined significantly to 30.6%. Thus, if the ₹ 8,00,000 cut-off is accepted, it is clear that this is as far-removed from EWS as can possibly be. Additionally, Brahmins and upper castes below this income cut-off are already advantaged, compared to Dalits. Among the poor, while the proportion of the poor with government jobs has gone down across the board, as a proportion of this shrinking pie, the OBC share has increased (but not the actual number), followed by the Brahmin share. These figures clearly indicate that the quota is redundant from the point of view of redressing economic disadvantage. By questioning the validity of the 10% quota, it is not at all suggested that protective, inclusive or remedial measures targeted towards the (actual) poor should not be considered. 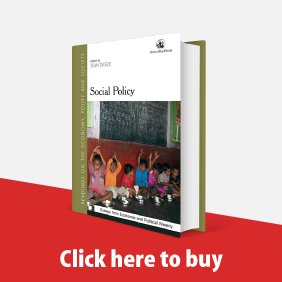 The authors firmly believe in public policies that promote diversity along several dimensions, including class, caste, religion, gender, and other social markers. In fact, as Rao (2019) demonstrates, the EWS quota in elite private schools in Delhi, which are not subject to any other form of quotas, has had several positive effects. He finds that having poor classmates makes the rich students’ behaviour more pro-social, and having economically diverse classrooms makes rich students discriminate less against other poor children even outside of school. The point being made is that reservation of seats in higher educational institutions and government jobs, that is, in the most elite spaces, is a policy that is meant to desegregate the elite and make the representation of the elite more in sync with the underlying population demographic distribution. By providing reservation to groups who are already well-represented in these spaces, the government blunts this instrument which was originally designed to provide access to caste groups that would remain excluded because of discrimination. Besides, the income ceiling for the 10% quota makes it clear that it is not really targeting the poor, but reserving a slice of a shrinking pie for upper castes to provide an illusion that it is doing something towards ensuring decent jobs. If the government wants to tackle poverty, it needs to strengthen anti-poverty programmes, in addition to making the nature of the growth process more inclusive. Public education and health systems remain in dire conditions as manifested in the low levels of learning and high levels of malnutrition. There is a strong need for investment in social infrastructure and policy that is geared towards equalising early life opportunities to provide a platform for equitable growth. The real issue is the quantum of government jobs or more appropriately, their absence. Over the last two decades, government jobs have been declining in absolute numbers (so India has seen not just a lower rate of growth, but an actual decline in government employment). The absolute number of central government civilian regular employees decreased by 8,46,998 between 1991 and 2013, which represents a decline of 22%. Correspondingly, the total number of SC employees declined by 2,00,476, a decline of 28%. Total employment in the Indian Railways, the largest civilian employer, declined from 16,58,413 in 1991 to 13,33,966 in 2014, with the largest decline in category C and D jobs. No wonder then that we have a huge mismatch between demand and supply of government jobs, one example of which is the recent news that two crore aspirants applied for 1,00,000 railway jobs (Economic Times 2018). The fact is that government employment is enormously appealing for its multiple advantages: security of tenure, decent pay, working conditions, and other benefits. However, this coveted pie is shrinking rapidly, and making more slices is not going to increase the size of the pie. In this context, the demand by socially dominant groups for reservation is not justified by their objective socio-economic status (Deshpande and Ramachandran 2017). It is argued that by extending reservation to socially dominant groups, what was supposed to be an anti-discriminatory policy for the most marginalised becomes a general rationing tool for a shrinking pool of coveted jobs. Finally, by what logic can reservations ever be seen as an anti-poverty measure? None whatsoever. If the government genuinely wants to lower poverty and improve livelihoods, there is a whole host of interventions possible. Most of all, economic growth has to facilitate job growth. A variety of formal sector, stable, decent jobs in the public sector, but also beyond, are needed. Reservation is not a magic wand, it does not create jobs and it does not eliminate poverty. This is not a failure of the policy; it has not been designed as an anti-poverty measure. Reservation is a policy to desegregate the elite and to make the social base of decision-makers more representative of the underlying social distribution, something that reservation for upper castes does not achieve, as they are already well-represented among the elite. The government wants to signal to the upper castes that it is ready to move away from a policy framework that guaranteed explicit compensatory discrimination for Dalits and Adivasis. The distinct absence, after this announcement, of the tsunami of hatred and openly casteist venom, with the usual hysterical breast-beating about the decline of merit that accompanies caste-based reservation, shows that upper castes welcome this shift in focus. If one adds to this the lynching of Dalits for pursuing their traditional occupations, snatching away their livelihoods in the name of cow protection, violence targeted at inter-caste marriages, and other violence related to temple entry or for not following the illegal social norms dictated by untouchability, the writing on the wall is clear. This is one more move to dilute the entitlement of castes that are stigmatised and discriminated against. 1 These include cycle/bicycle, sewing machine, generator set, mixer/grinder, motorcycle/scooter, black and white television, colour television, cooler, clock/watch, electric fan, chair/table, cot, telephone, mobile phone, refrigerator, pressure cooker, cable/dish TV, car, air conditioner, washing machine, computer, laptop, credit card, and microwave. 2 This is based on the assumption that individuals need at least secondary education to access a low-level government job, and 12 years of schooling to enter college. 3 Available from the authors on request. Béteille, André (2012): “The Peculiar Tenacity of Caste,” Economic & Political Weekly, Vol 47, No 13, pp 41–48. Desai, I P (1984): “Should ‘Caste’ Be the Basis for Recognising Backwardness,” Economic & Political Weekly, Vol 19, No 28, pp 1106–16. Deshpande, Ashwini and Rajesh Ramachandran (2017): “Dominant or Backward? 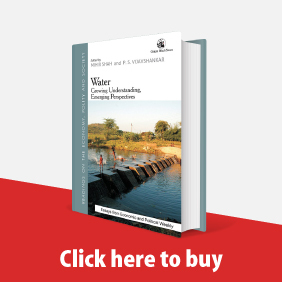 Political Economy of Demand for Quotas by Jats, Patels and Marathas,” Economic & Political Weekly, Vol 52, No 19, pp 81–92. — (2019): “Traditional Hierarchies and Affirmative Action in a Globalising Economy: Evidence from India,” World Development, Vol 118, pp 63–78. Economic Times (2018): “200 Applicants for 1 Post: India’s Jobs Crisis Gets a Grim Reminder from Railways,” 29 March, https://economictimes.indiatimes.com/jobs/200-applicants-for-1-post-indias-jobs-crisis-gets-a-grim-reminder-from-railways/articleshow/63527790.cms. Rao, Gautam (2019): “Familiarity Does Not Breed Contempt: Generosity, Discrimination and Diversity in Delhi Schools,” American Economic Review, Vol 109, No 3, pp 774–809. Shah, Ghanshyam (1985): “Caste, Class and Reservation,” Economic & Political Weekly, Vol 20, No 3, pp 132–36. Srinivas, M N (2003): “An Obituary on Caste as a System,” Economic & Political Weekly, Vol 38, No 5, pp 455–59. Statista (nd): “Distribution of Average Monthly Income in Households across India in 2015,” https://www.statista.com/statistics/653897/average-monthly-household-income-india/.